Bob Dylan and Philosophy edited by Peter Vernezze and Carl J Porter lets eighteen philosophers analyse Dylan’s ethical positions, political commitments, views on gender and sexuality, and his complicated and controversial attitudes toward religion. All phases of Dylan’s output are covered, from his early acoustic folk ballads and anthem-like protest songs to his controversial switch to electric guitar to his sometimes puzzling, often profound music of the 1970s and beyond. 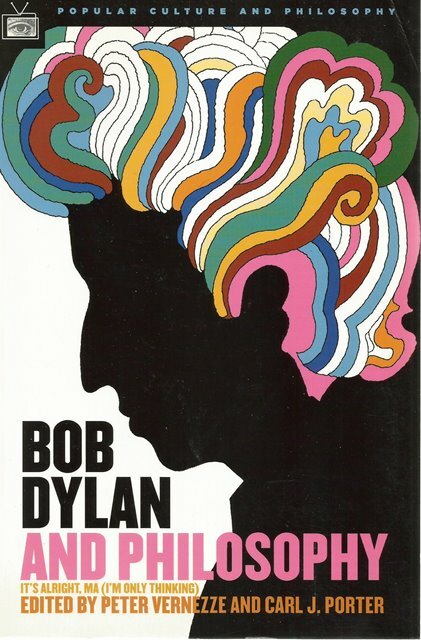 The book examines different aspects of Dylan’s creative thought through a philosophical lens, including personal identity, negative and positive freedom, enlightenment and postmodernism in his social criticism, and the morality of bootlegging. 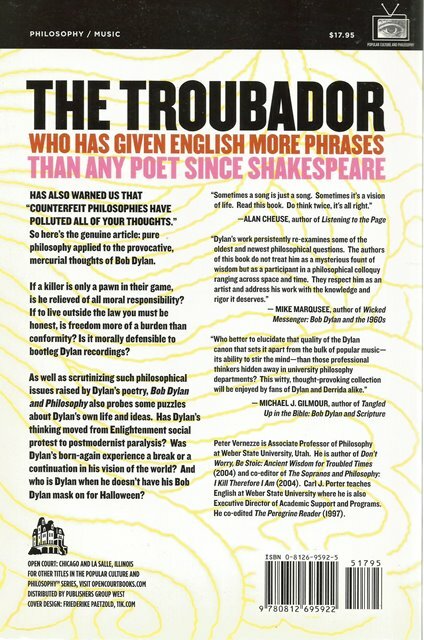 An engaging introduction to deep philosophical truths, the book provides Dylan fans with an opportunity to learn about philosophy while impressing fans of philosophy with the deeper implications of his intellectual achievements.